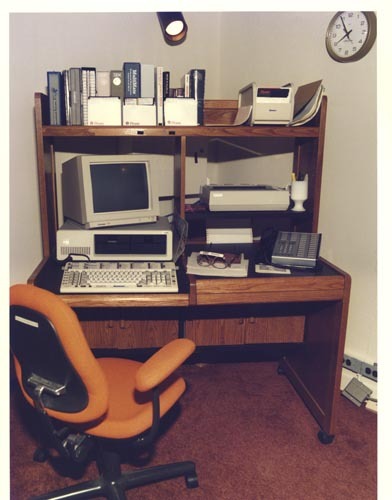 Color image of an exhibit showing an 80's programmers desk. The desk is on rollers, has a bookcase with a top shelf for manuals, an IBM disk top computer, digital telephone and printer. There are some glasses labeled "CRT glasses".